We love running chocolate tours in Boston, but thats just one of the ways we try to help broaden folks’ appreciation of chocolate. 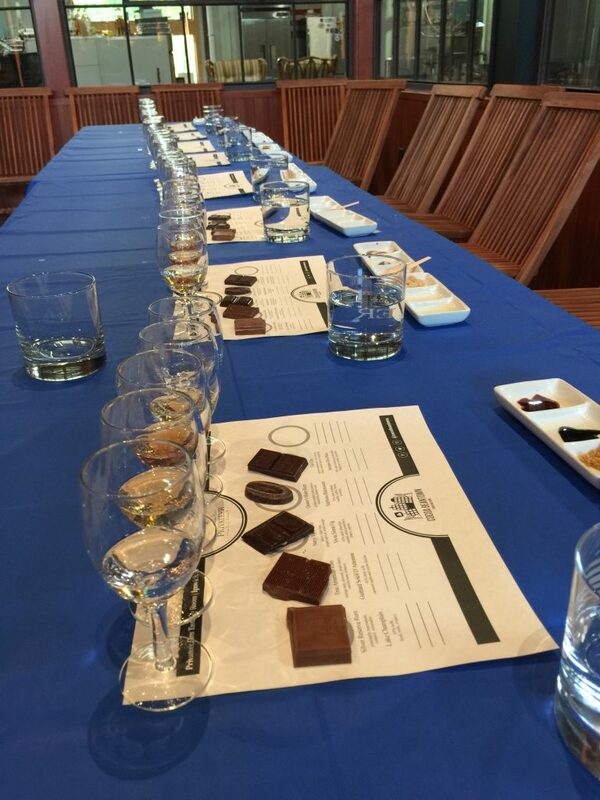 We also offer a variety of chocolate tasting events and experiences, sometimes with the chocolate serving as its own exploration, and other times as an element in a pairing–such as chocolate and wine, chocolate and rum, chocolate and tea, chocolate and coffee, and even more–the possibilities are seemingly endless! 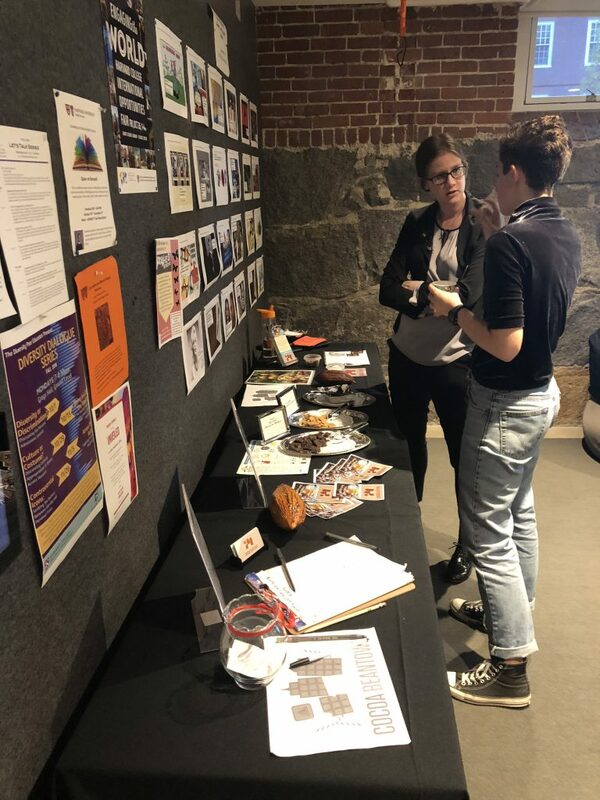 While many of these events we have offered on a public basis, either through some of the area adult education centers or through our local partnerships, we also believe that chocolate can be utilized to help people connect in their professional spaces as well. 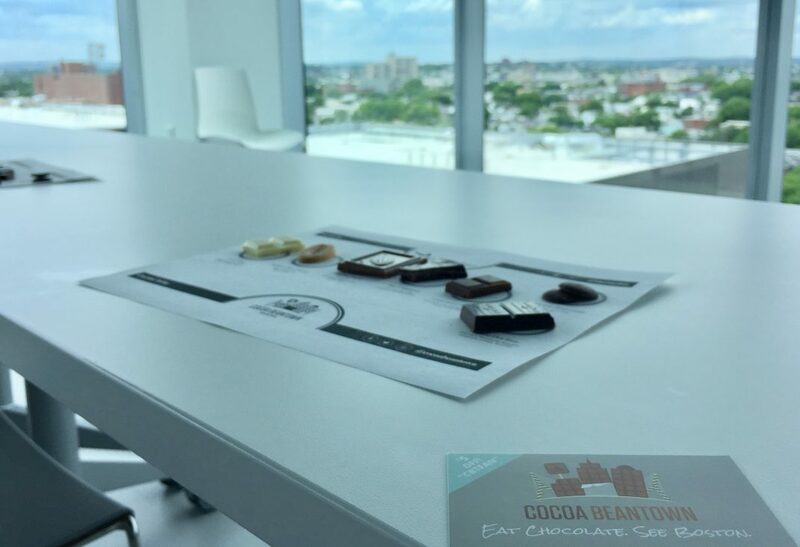 Our corporate team building chocolate tasting events can work in a variety of ways. 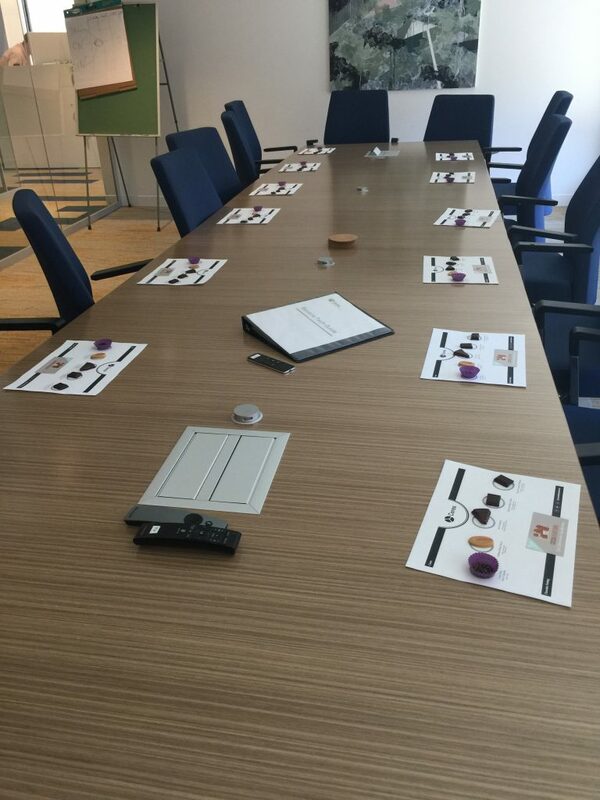 Whether it’s for a small group of a dozen or so folks, to a team of people as large as 70 or 80, a seated chocolate-tasting event provides folks with a classroom-style experience and includes a guided chocolate tasting built around a specially curated menu for exclusively for your group. Themes can include topics like “Boston Chocolate History,” the “Politics of Chocolate,” “World Chocolate Trends,” “The Cacao Tree; Fruit of the Gods,” “Sustainable Chocolate and the Environment,” and “Women in Chocolate.” All programs can also include trivia, tailored to the designated theme, featuring specialty chocolate prizes for all winners. Dynamic food education programming should include a variety of sensory experiences, so we bring touch-and-feel display elements to let folks see and feel real cacao pods, sniff and handle cocoa beans, rub cocoa butter between their fingers to experience its melting point, and even get to explore other elements like maps of the Cocoa Belt, pictures of cacao trees, vintage chocolate ads from old Boston, and other items that will help enhance the overall learning. 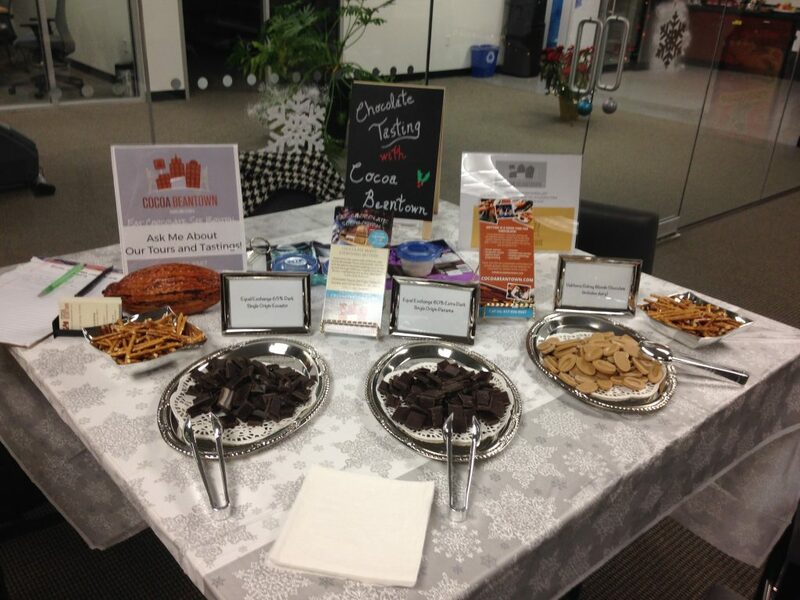 Perhaps your next company gathering is a little less formal, but definitely still needs to feature chocolate! We can put together a special chocolate tasting table that includes a specially curated selection of chocolates, with display elements and signage for all sampling, along with a friendly and engaging chocolate educator stationed at the table throughout the event to conduct more individualized tasting instruction while also fielding any questions brought up by the participants. This setup is ideal for company mixers, cocktail receptions, and holiday parties. All tasting menus are tailored to every group we work with–we always ask about food allergies, dietary restrictions, and the general disposition of the group in order to really make sure we’re being as accommodating as we can to everyone on your team. And all of these tasting events can be done anywhere–we’ve been lucky to bring private chocolate tasting events to folks around Massachusetts, but also around New England, including parts of Connecticut and Rhode Island, as well as New York and even Maryland, Tennessee, California, and Florida! 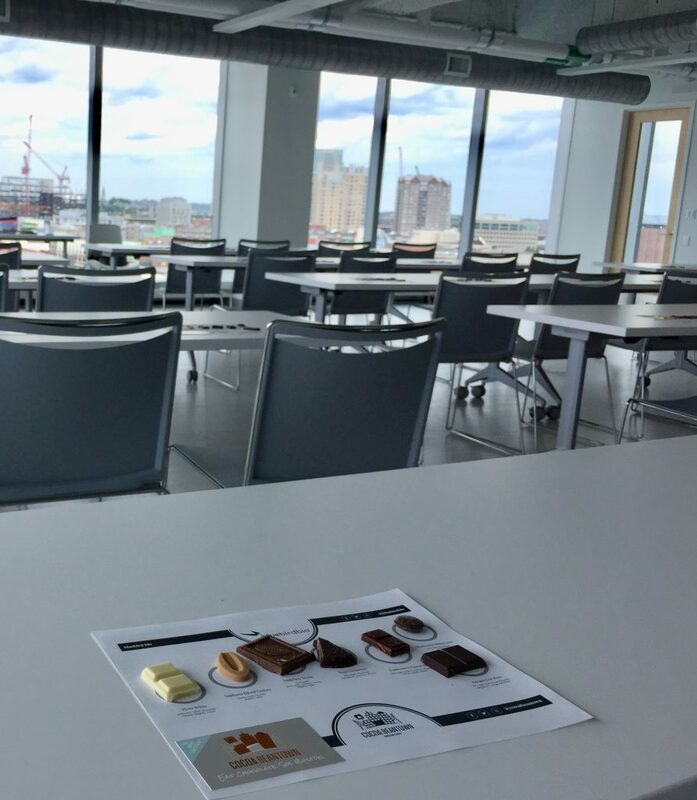 And if the folks at work are just dying to get out of the office, don’t forget–we can put together private Boston chocolate tours for your group, including customized routes and trivia, or even bonus treat bags for all guests! The chocolate fun never ends in Boston when you’re with Cocoa Beantown! Join our "Sweet Life" mailing list for the latest in chocolate events around Boston!